Boys leather Semi Dress sporran. Mini-Version of full-sized Sporran. Flap with stud. 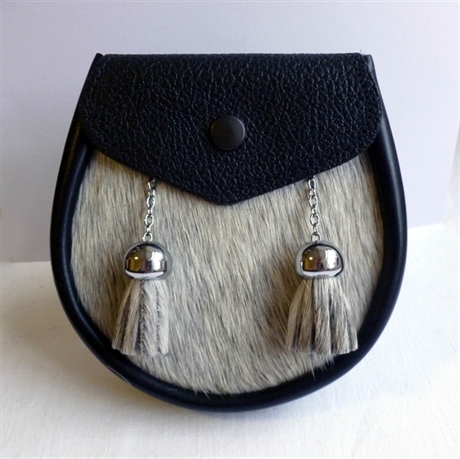 Available in medium and small sizes, Choice of 2 fur colours: Black, Light. Great 'slightly-less than formal look' that really works. Chain included.